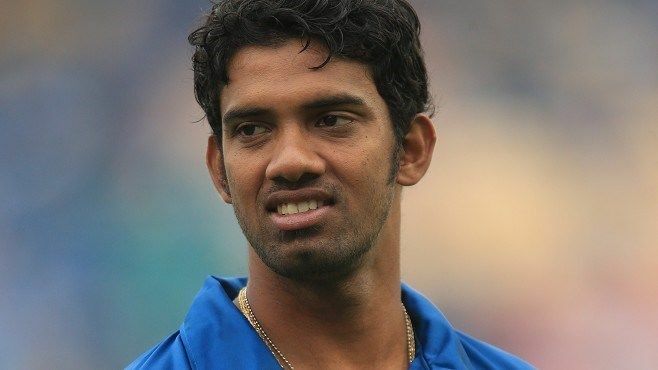 Senanayake Mudiyanselage Sachithra Madhushanka Senanayake, commonly called Sachithra Senanayake, (born 9 February 1985) is a professional Sri Lankan cricketer, who currently plays limited over cricket. An bowling all-rounder, he bats right-handed and bowls off spin. He has played first class cricket for the Sinhalese Sports Club since 2006. He is the 150th ODI cap for Sri Lanka. 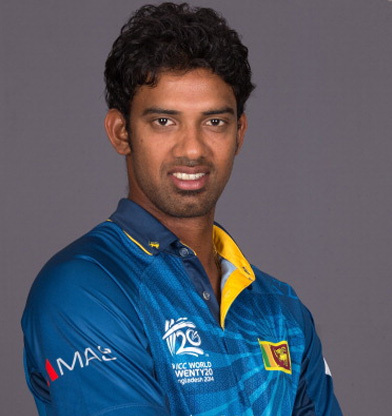 Senanayake was a key member of 2014 ICC World Twenty20 winning team as well. His call-up followed a domestic season in which he had taken the most wickets in the Sri Lankan Premier League limited overs tournament. During the 2013 Indian Premier League auction he was bought by Kolkata Knight Riders for US$15,000. On 2015, he contracted for 2014 NatWest t20 Blast in England for the team Worcestershire. Senanayake made his international debut for Sri Lanka in the fourth One Day International (ODI) of the tour of South Africa in January 2012. From then, he was a regular part of Sri Lanka's spin attack in limited over cricket with Ajantha Mendis and occasionally with Seekkuge Prasanna. After a suspect bowling action, he showed poor bowling in later bilateral tournaments. However, he was included to the 15-men 2015 ICC World Cup tournament as the main spinner of the team. He was reported for bowling with a suspected illegal bowling action against England in June 2014 and subsequently banned from bowling in international cricket in July 2014. He was cleared to bowl in December 2014 and played in the fifth ODI against England. In 2014, he Mankaded the English batsman Jos Buttler in a One Day International. 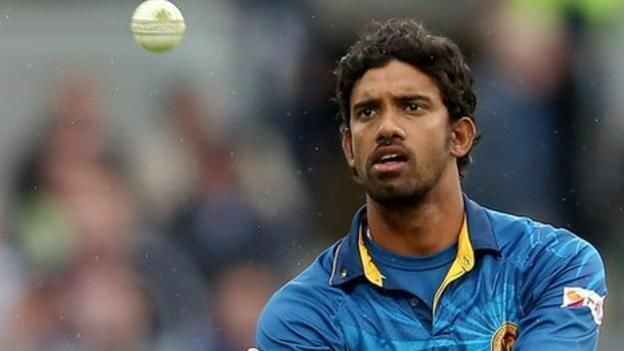 Senanayake was cleared from the illegal bowling action with future notices and played in the 7-match ODI series against England at home. He was again called up for the 2015 Cricket World Cup and looked poor performances in the pool match against Australia. He re-appeared in the fifth ODI against Pakistan in July 2015, where he took three crucial wickets. The re-modeling action somewhat gave weaker performances in international arena to Senenayake. Senananyake is a student of musician Sanath Nandasiri since school times. Due to cricketing career he missed music industry as he said. He is known to be a good singer and sang his first solo song Watina obage which was released on May 2016. He also contributed for the cricket song Kirula Genemu by Centigradz, which was released prior to 2015 Cricket World Cup.